Great people make great customers, which makes Carmi an ideal place to shop or start a business! 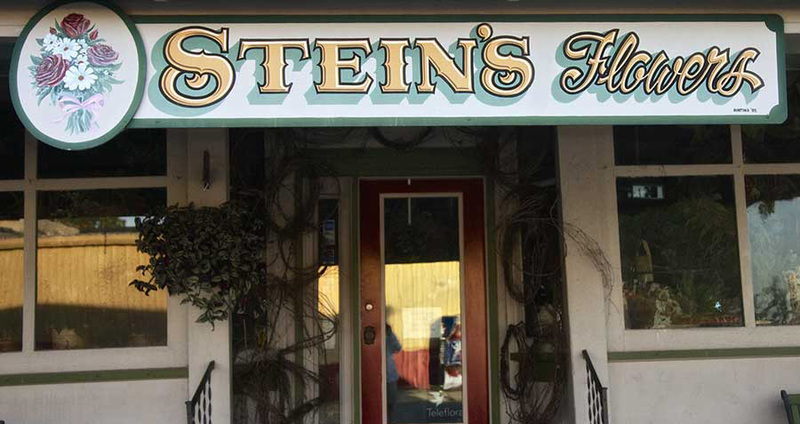 Top: There has been a Stein in Carmi selling flowers since 1947, when the grandparents of current owner Tony Stein started the family business. Since then, Steins has crossed the street into the Tip Top Creamery building. 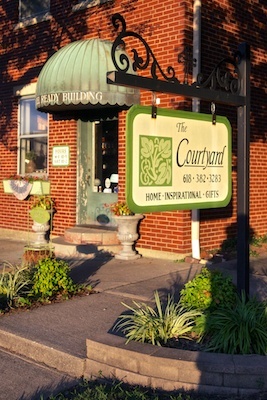 Above, The Courtyard in Carmi operates from a restored historic residence on Main Street, selling gifts and home furnishings, one of several specialty shops in town. Business is growing once more in Carmi! With a well educated population, Carmi now has more white collar workers than blue collar. Carmi serves as the professional industry hub of White county, including banks, investment firms, CPAs, law firms, consulting services, and advertising/web design services. Those looking to start a small business will find opportunity in Carmi. 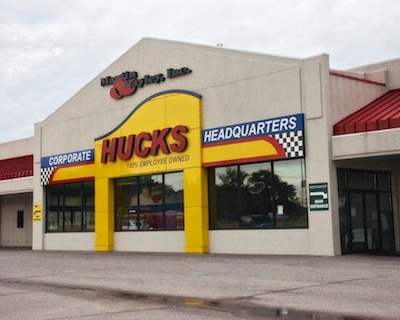 Like many small towns in southern Illinois and throughout the midwest, the economic environment for small businesses suffered late in the twentieth century, as more and more people chose to drive to nearby cities for entertainment and shopping. But as public awareness grew, and with the help of the Chamber of Commerce and local businesses, a dedicated effort was made to bring these shoppers home. The result has seen a number of new businesses springing up, as people look to Carmi as a place to make their dreams come true. Carmi is also ideally situated for those who telecommute. Working from home is increasingly becoming an option for many types of businesses, and the low cost of living here and throughout southern Illinois means your paycheck goes further. As more people turn to small town living to raise families, Carmi makes an ideal location for those who are no longer tied to an office building and desk. There are a number of opportunities for workers in the health care industry, with doctor’s clinics, dentists, optometrists, nursing homes and therapists operating in Carmi. Additionally, with Evansville, Indiana a short drive away, there are nearly endless opportunities in this field, with two major hospitals, as well as several other regional hospitals located even closer. Social services are available in the offices of the Egyptian Health Department, Opportunities For Access, Baptist Children’s Home & Family Services, Wabash Area Development, Inc., public aid, the Anna Bixby Women’s Center, Red Cross and the Guardian Center. These agencies serve other counties around Carmi and White County, as well, with their many programs. Manufacturing is still strong in Carmi, with companies like Elastec and Trellborg Yale South Haven hiring a substantial number of people, a figure that is constantly growing. The energy industry is well represented, in both oil and natural gas, as well as coal mining. Agriculture is still a major employer in Carmi and the surrounding area, with farmers and those working in industries which service them. The grocery and convenience industry is well represented as well, with major employers such as Martin and Bayley, whose chain of convenience stores, Hucks being entirely employee owned, and Carmi Wholesale Distributors shipping grocery products throughout the midwest. Carmi also has a Super Walmart on Route 1, which draws customers not only from neighboring communities, but shoppers from as far away as Mt. Vernon and New Harmony, Indiana. Across the highway from Walmart is the Carmi Industrial Park, which still has lots open at good rates for both real estate and utilities, and is ideal for companies looking to take advantage of what is the most heavily trafficked section of Carmi.